We are the chief Service Saddle Valve Manufacturer in Ahmedabad. These PP Service Saddles are made out of high quality raw materials to guarantee longer service life and strength that finds application in various industries. Confirming with various international quality standards, our wide range of Polypropylene Service Saddles is in wide demand in the global market. 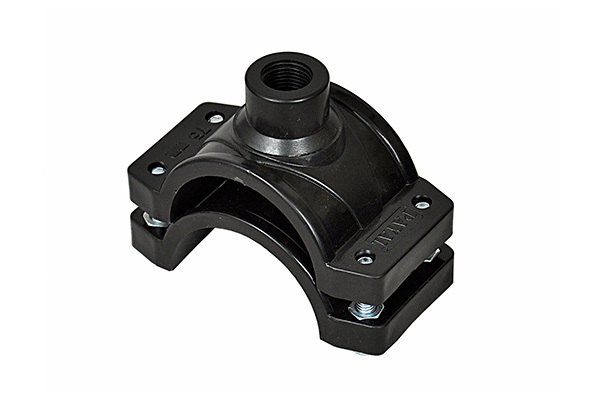 Owing to dimensional accuracy and excellent mechanical properties, these saddles are extensively acclaimed by the clients. These saddles provide a leak free sealing even at a low temperature. These are offered at cost-effective prices and within the stipulated time period.